Uhhh…I might be a lil’ addicted to Instagram. It’s like instant blogging. It’s impulsive, nosy (hello instagram stalking!) and my current fav way to procrastinate. I’m convinced that most of these various social networking sites were invented to give us something to do while we collectively wait in line at the post office. Let’s NOT talk to the person standing next to us…no, that’d be scary. But comment on a strangers’s picture of their cute newborn/new shoes/lunch/dessert? Meh…perfectly normal. I like our lives now. Technology has made our lives weird and awesome. I’m into it. This post is brought to you by my Instagram addiction. I peeped a picture from Suann of a salty oatmeal cookie (from Teaism in Washington D.C.). I was intrigued. Salty Oatmeal Cookie? Ummm…I like salt. And oatmeal…and cookies. I did a little googling and found that this cookie is no normal cookie. 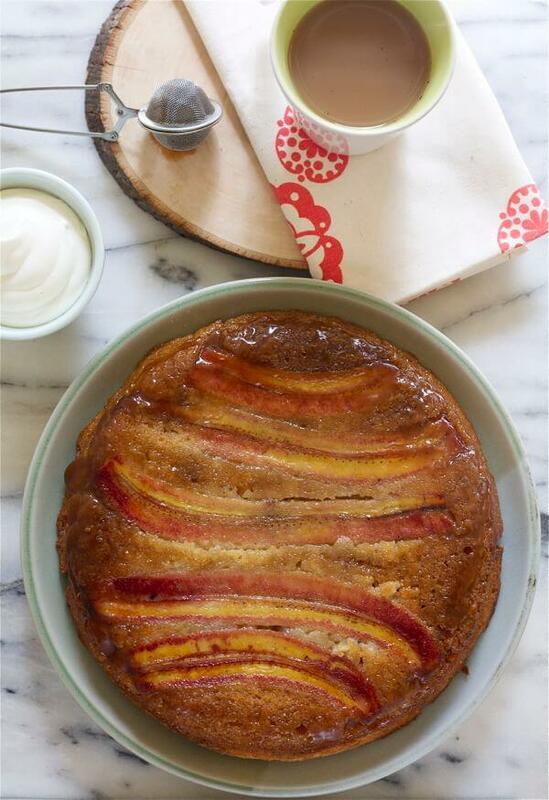 It has a cult-like following, with recipes all over the internets attempting to get it right. I have no idea if this tastes like the original, since I’ve never had it. So, if you’re obsessed with the original and you make this and you’re like, NO WAY THIS ISN’T IT…then I’m sorry. Don’t be mad at me! I hate it when people are mad at me. I can’t promise a Teaism Salty Oatmeal Cookie look alike/taste alike, but I can tell you that this cookie is a win! The center is tender and light, in the way a good cookie always is. It has a medium size crumb, the oatmeal, per usual, makes for awesome texture, and the dark chocolate chunks are delicious. Oh and the salt! I sprinkled fancy Maldon Sea Salt before I put these cookies in the oven. Salt works wonders with oatmeal (who knew!) and throw in the combo of chocolate? Heyyyy deliciousness, hey! P.S. Don’t splurge on fancy salt, if you don’t want to. A coarse kosher salt will work perfectly for these cookies. No biggie! Take that $7 and put it to good use, like buying some nail polish or something. It’s Spring, after all! 1. In a stand-up mixer (or using a hand-mixer), beat the butter until mashed. It may stick to the paddle a bit, no biggie –scrape and mix once more. Next, add the brown sugar, white sugar, baking powder, baking soda and cinnamon. Combine at a medium speed until the mixture has a crumbly texture. Add the eggs and vanilla and mix again until combined. 2. Fold in the all-purpose flour and rice flour until just combined, being sure not to over-work the dough. 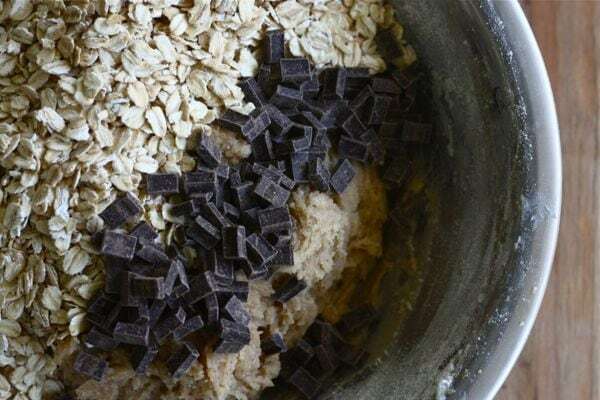 Gently fold in the oats and chocolate chips. Cover the bowl with plastic wrap and transfer to the refrigerator to chill the dough for an hour. 3. 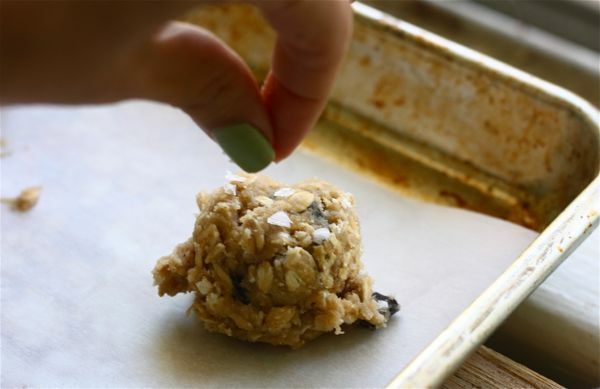 Pre-heat the oven to 375 degrees F. When the oven is hot, drop the cookie dough, using a tablespoon or cookie dough scooper, onto a parchment lined baking sheet. Lightly sprinkle the tops with sea salt or kosher salt. Bake in the middle of the oven for 13-15 minutes; the edges golden brown and the center still soft. The cookie should still be soft to the touch so carefully transfer them to a cooling rack. I like all of those things too! Definitely going to have to try these cookies. 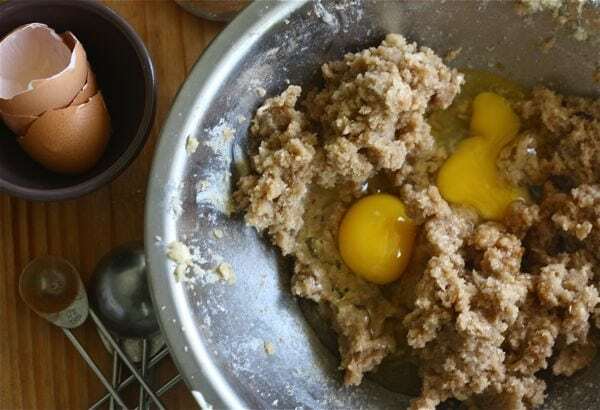 My MIL LOVES oatmeal cookies- I’ll have to make this for her! Yum yum YUM! This just moved to the top of my cookie list! These look freaking fantastic! Love it! This looks great!!! Could you sub regular flour in for the rice flour, though? I’m pretty sure you can. I haven’t tried it but the rice flour is added for a bit of lightness since it’s low in gluten. I imagine a pastry flour would also work. Salty and sweet combined. Nothing is better. Plus, the oatmeal makes me feel like it could be a healthy snack? Right? It’s almost like a breakfast cookie. ALMOST! I love love love salty sweet. It’s my favorite. We use Maldon all the time. My grandmother gave us a sweet little “salt hog” as she calls it as a wedding gift, so I always have it nearby full of Maldon when I’m cooking. Will be making these SOON! Ah yes! I love maldon and oatmeal cookies! 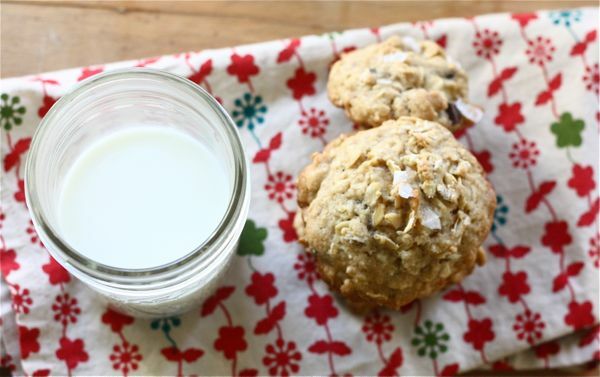 I love a good oatmeal, thick, chewy, dense cookie and these are great! 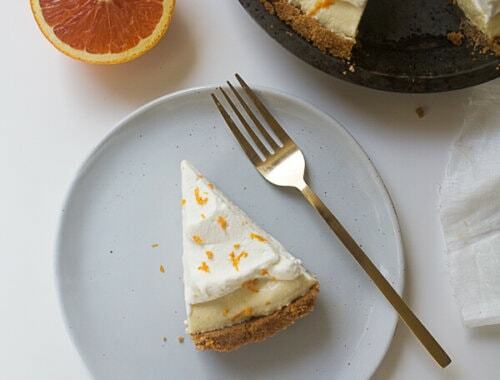 I’m a sucker for that yin and yang of salty and sweet. These look scrumptious! I put salt on my oatmeal every morning, so these are definitely made for me! So, I’m from Baltimore and keep hearing all these raves about Teaism and still haven’t gone. I’m hanging my head in a shame that only these cookies can alleviate. These look incredible. 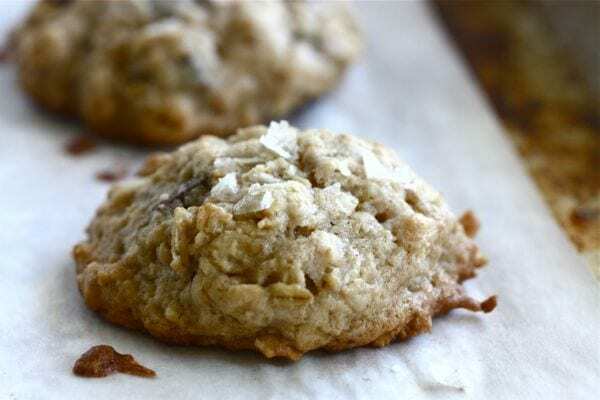 I love sweet and salty, and I’ve never really had an oatmeal chocolate chip cookie. I’m bookmarking these! OMG I lurk here all the time and have never commented, but I live in DC and am definitely in the salty oatmeal cookie cult. You HAVE to come here and have one, kay?? But these look amazing/love the incorporation of chocolate chunks (because when is that ever a bad idea?). Making these this weekend! These might make me fight the voice of reason in my head and bake cookies for the second time this week. Salt on sweet things (particularly chocolate and caramel) is one of the favorite things! YUM! I just recently found your site and I’m already addicted to it. Love your recipes. These cookies look amazing; sweet and salty is always a good combo. What kind of chocolate did you use? I used dark chocolate chunks from the 365 brand at Whole Foods. Regular chocolate chips will work just fine, too. Instagram on Android now, lucky us! And also those look FREAKIN DELICIous! Parden my language but seriously, salty and sweet cookies my mouth is drooling. Dark chocolate + salt = 50 points! Oatmeal + salt = 50 points! I’ve been making my own granola for the last three months, because I like the kind that comes with yogurt cups and you mix it in. But you never get enough. And this way, I can customize it! Less brown sugar, more honey. More cinnamon, more salt! I like to think I make it healthier. I love the saltiness of the granola mixed with the sweet (usually strawberry) yogurt. Yum yum. I didn’t have to finish reading the title before deciding to make these! Salt in granola is SOOO important. There’s a salty granola I eat from my favorite coffee shop here in LA and it’s incredible! I love that you did oatmeal with chocolate rather than the more popular (but way less enjoyable!) raisin. I’ll have to try these soon. The original has raisins in it, but I kinda dislike them. Chocolate is WAY better! These look delicious! Love the salty and sweet combination! Put salt and chocolate in the same sentence and you win me over easily 🙂 Love how thick they look! These look amazing!! I’m all up for anything salty and chocolate-y!! YUM. And I totally support your chocolate vs. raisin choice. I’m not a fan of raisins either. Great recipe! 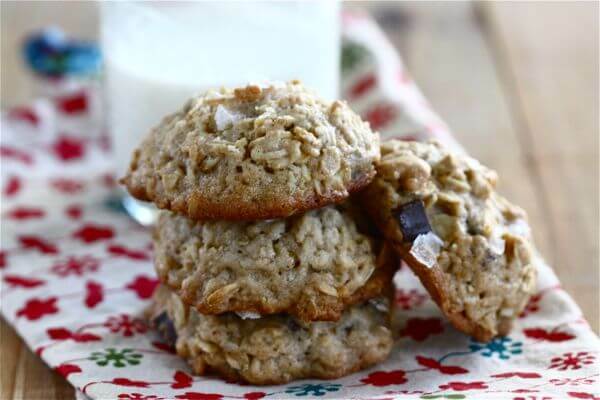 Pretty healthy cookies with all that oats. Now these I MUST make!! I absolutely live for a salty-sweet combo. I have to try these, no question! wow what a combination! I love the sound of the oatmeal, salt and chocolate. I am worried by our modern way of living and I hope to make my daughters aware of how much better it is to talk/touch/smile without a screen. However I can see the benefits to a way of working, if not to a way of being. Love the blog. This is delicious! I love the flavors you have in here…and it gets the highest compliments! I live in D.C. and have sampled the Teaism original … and I’ve gotta be honest … your version looks WAY better!! And not just because of the infinitely preferable addition of chocolate over raisins, but yours look … perfect! (The Teaism cookies I’ve eaten have been flat and a little crispy. Not that there’s anything wrong with that! I’m just more of a nicely rounded, more-of-a-tender-and-light-center kind of cookie gal myself : ) I’ll definitely try these out soon. Thanks for sharing!! Oatmeal chocolate chip cookies are my favorite cookies in the world. 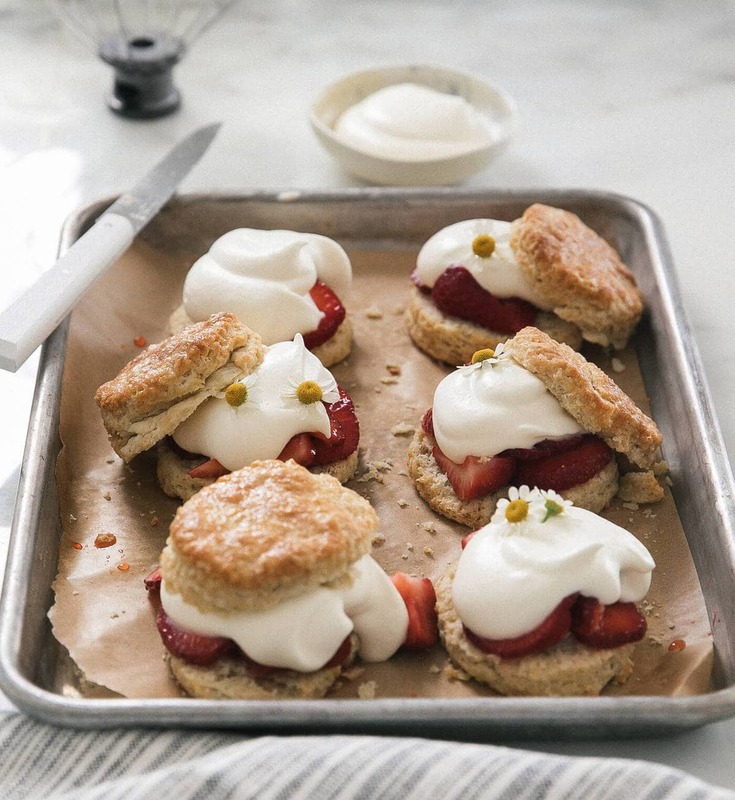 I love how dense and sweet and cinnamon-y they can be – yours look awesome and I’m amped to try your recipe next time I put my baking cap on! They look lovely, thanks! How delicious these look!! I am a big fan of oats so this is my type of cookie! If you loved the salt on these cookies, the next time you make peanut butter cookies add the kosher salt on top of them before you bake them! You will never make them with out salt ever again!!! and oatmeal is healthy, so these also double as breakfast, I think. Salty goodness and chocolate…yup I could definitely go for these. Thanks for the recipe! I used it as inspiration for my own salted oatmeal cookie (sans chocolate, with ginger and almond flour: http://marriedtowine.com/2012/05/18/salted-oatmeal-cookies/#more-827). Oh my god.. I’m getting my wife to make these for us asap! Thanks for sharing. Followed your recipe to the T, OMG amazing! Thank you very much, they were scrummy! Amazing sharing!I really love cookie so much especially with cup of tea.